We suspect that lots of people admire pictures of beautiful clothes rails with lovely clothing on display, but most people end up buying a more classic bedroom wardrobe because they just can't imagine making it work. The reality is that most people do not swan around in beautiful, flowing pastels that just happen to blend seamlessly into their bedroom decor. Naturally most of us ordinary mortals don't want our clothes on permanent display. But what if we could find a combination of alternative storage elements that would work. This would help avoid the sticky situation of having cumbersome heavy furniture that often ends up overstuffed with clothes or dominating a small living space. What if we could even make these alternatives to the classic wardrobe look fantastic with some dedicated strip or accent lights. We think this is all entirely possible. So let's get on with exploring a few alternatives to the classic wardrobe. Some clothes are just so beautiful it seems a shame not to use them as decorative elements. There is really no better display option than a clothes rail. A clothes rail can be perfectly elegant if there is a lot of empty space and just a few items on display. Ideally the clothing will also work well within the bedroom decor. 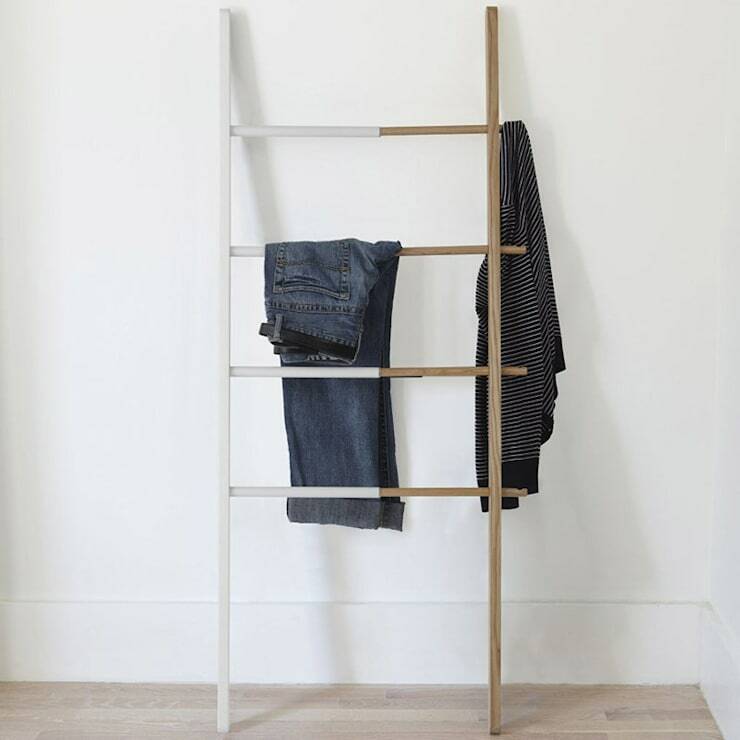 This may seem entirely impractical to maintain, but the secret is to use the clothes rail in conjunction with other storage solutions. A hanging storage system with compartments is a good addition. But we are of the opinion that it's best to keep the rail as clear as possible in a minimalist fashion and store smalls and other foldable items to a small set of classic drawers or one of the other options we will explore here. If there isn't enough floor space for a clothes rail, a hanging rail may be another good display choice. 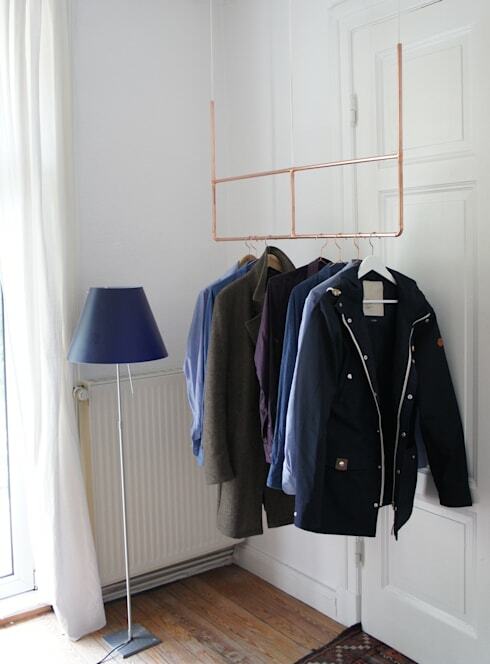 The latest trend in upcycling is to use recycled copper piping as a hanging closet. The gorgeous golden tones of the pipe add a really unique and industrial touch to the decor. For a subtle approach, consider painting the upper portion white so it blends into the ceiling. But there are plenty of other hanging alternatives. A simple hook on the ceiling with a chain and some piping will do just as well. For a more rustic look, consider using a sturdy tree branch instead. This beautiful shabby chic open shelving by Enjoyme is just about one of the most versatile options around. There is hanging space for long garments, short garments, drawers that close and lots of open shelves at various heights. This offers lots of room for storing delicates and other clothing that may not suitable for display. This is also a good free-standing option for those who are renting and don't want to make any permanent wall or ceiling fixtures. Best of all, it offers loads of storage space. This is one wardrobe alternative that we can imagine spending hours playing around with just for the pure fun of creating a new look. Bamboo ladders are extremely easy to use. Just prop them up against the wall for easy storage. Note how this ladder has been partially painted white for a really stylish look. Boxes are now available with beautiful covers and finishes that are often decorative items in their own right. Boxes are also a very inexpensive option for storing smalls and foldable items. If you have some high wall space, they could also be used to store precious items that are only used for special occasions. Another alternative is to arrange and attach them directly to the wall so they face outwards. Just before we move on, note how lovely the accent lighting looks here. Many alternatives to the classic wardrobe are just so beautiful that they really deserve their own dedicated lighting. Strip lights are very inexpensive and can be easily placed inside makeshift shelves or around hanging racks for a really sophisticated look. Under the bed storage has been around for a while now, but it's still a great alternative wardrobe. 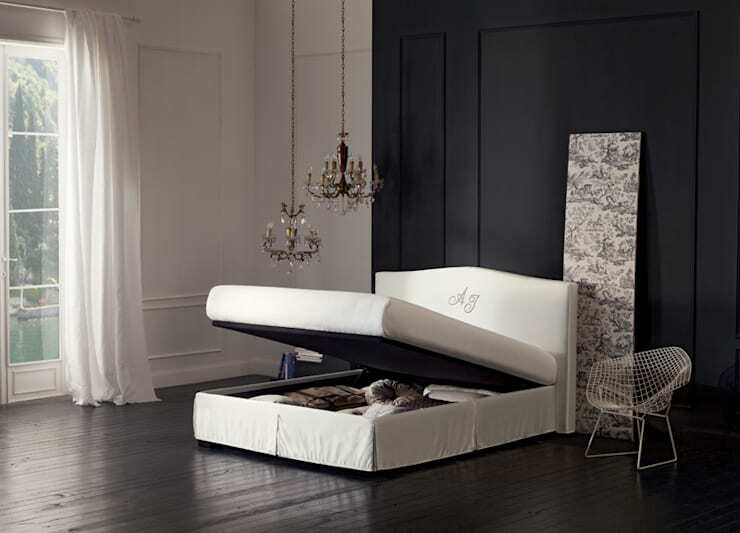 A bed with built in storage is great for really small rooms. 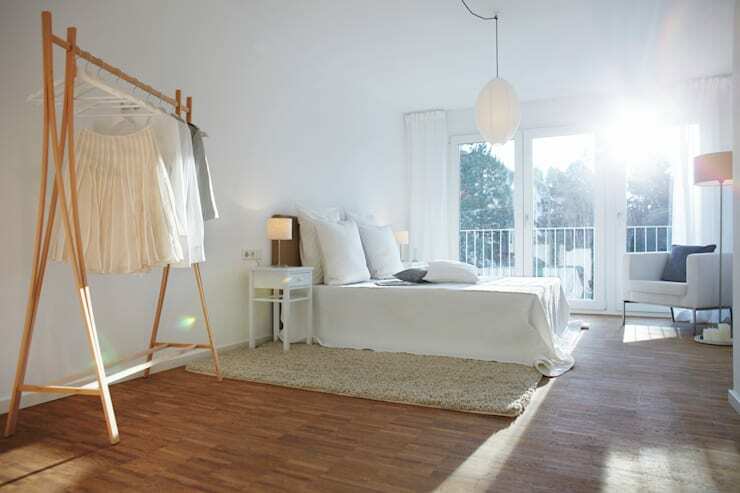 It may get a little annoying to pop up every day, so it's best for storing bed linen and extra pillows. For everyday access, a better alternative is some slide out drawers. 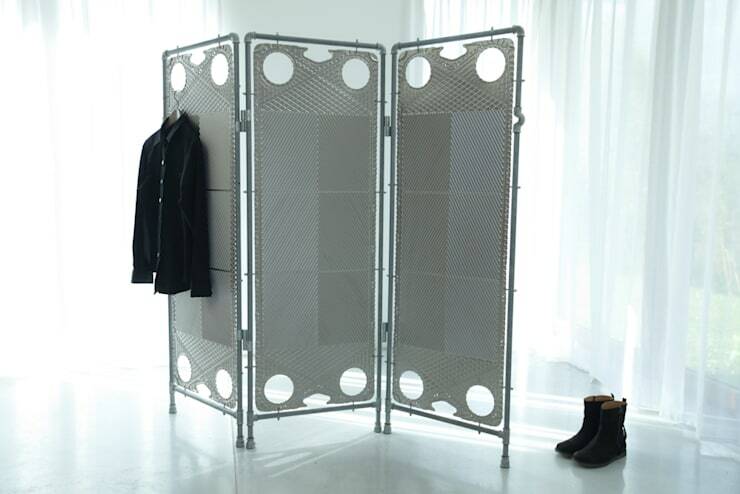 For our final suggestion, we'll look at this lovely industrial style folding screen by Nanowo. Most folding screens have holes that can be used to hang floaty dresses and beautiful scarves. But as you can see here, a folding screen works just as well with a simple men's jacket. Let's not forget that one side of the screen could even be used for the more unsightly items and tucked out of sight. The great thing is that a folding screen will double as a small changing room as well. We hope you enjoyed this Ideabook. If you are interested in bedroom storage, you will love this one too 6 examples of incredibly stylish storage solutions. What do you think of these alternatives to the classic wardrobe? Can you imagine making them work?